Designed exclusively for Duramax storage sheds including the sidemate, duramate, and woodbridge sheds. Includes 2 shelves each 3 feet wide by 1 foot deep. Great for storing all sorts of yard equipment from spray bottles, to cleaning equipment, to garden tools. Includes four brackets to attach to existing channels making installation take only seconds. The color is designed to go with the earth tone colors of the Duramax shed lines. Clean up the yard and tidy the shed by utilizing your storage space to the max. 06625, 00181, 00184, 00381, 00384, 98001, 00283, 00221, 00281, 00284, 00481, 00484, 00581, 00584, 30115, 30114, 40214, 40224, 40234, 01016, 01116, 01216, 01316, 01416, 01516, 01616. Q: This item came with no instructions. Where are they? A: The instruction manual should be included with the box. 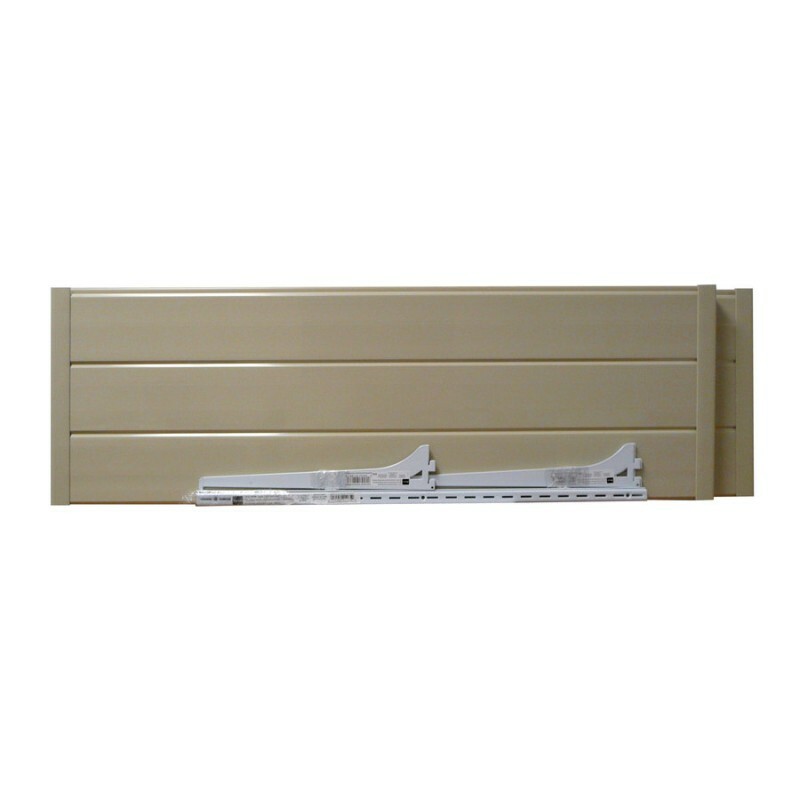 Basically you use the existing rails inside the storage shed and attach the brackets to your shelf. From there you simply hook the shelves onto the rails. I'm sorry for the confusion. Q: What models is this shelf compatible with? Dimensions: 36" x 12" x 4"